It is important to remember that Redclaw are not endemic to our area and should not be returned to the lake. 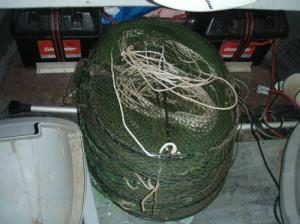 Also don’t forget to check fishery rules for the number and sizes of traps you can legally use. I only use Jervis Walker opera house traps as they have a 3 inch diameter opening. You can see that the soft drink bottle passes straight through the opening. 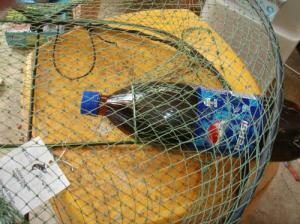 My experience with the large diameter opening traps, is that if the bait runs out or the red claw have had enough to eat they can escape easily. I use small plastic decor brand containers purchased from Big W at $12 for 10. I drill holes in the sides and the top. 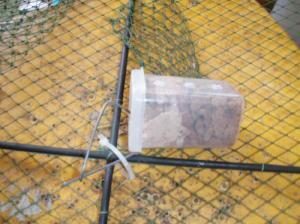 For bait I use a small handful of dried cat food (any kind with a fish flavour) and then top up the container with tinned cat food (whole fish is good). 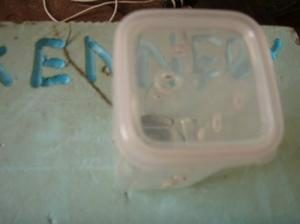 When the dried pellets expand they force some of the tinned cat food out through the holes acting as a burley. 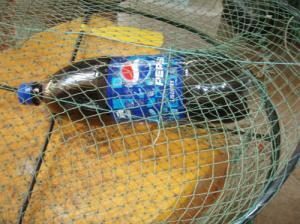 The baits work out at around 25 cents per container. 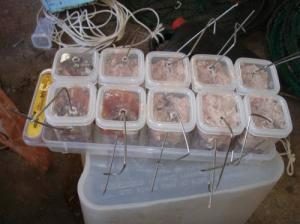 I make up my baits in advance and store them in the bait freezer. 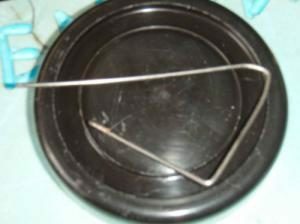 I slide home made clips (I make them from the stainless steel inner cable of outboard remote cables) through the top of the clip on lid and through one of the holes in the side of the container. 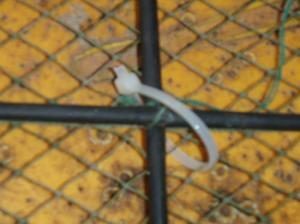 And just clip the bait to the tie, it is easy to replace the bait when servicing the traps. I attach the tie rope to the front of the pot rather than the side where the rope is normally attached when you buy opera house traps. 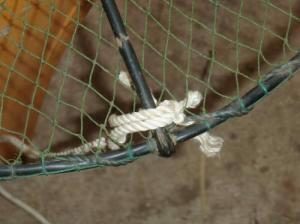 If the rope is attached to the side , the trap picks up twice as much weed and are much harder to pull in to service. 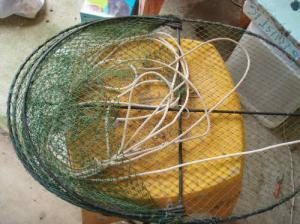 I coil the rope loosely inside the open pot and stack them in the bow of the boat. Finally, I find it best to leave the traps out over night and normally try to position them in around some structure. Note: All traps must have surname and address marked clearly on the trap itself as well as your Surname on the Float.